When adding furniture for the bedroom, we would make sure that it would be very useful and would have a design that fits in our interior. 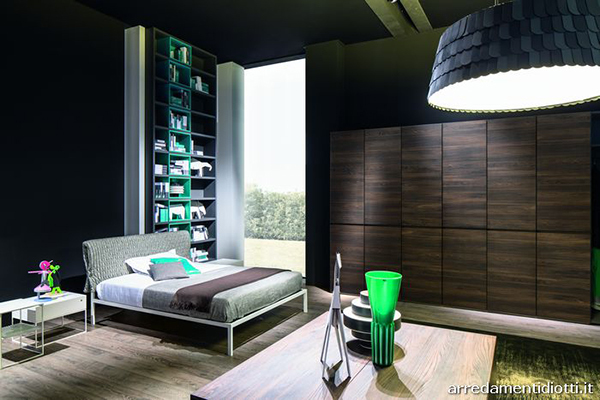 A bedroom furniture could make a space when the right one is picked. Some would buy a different furniture separately while others would even want custom made ones. But for some, they want the easier way and get a set of bedroom furniture. This is also what others do if they want a unified look for their bedroom. You have seen many bedroom designs here on Home Design Lover and I am pretty sure that you already have ideas on how to arrange bedroom furniture and which ones to get. 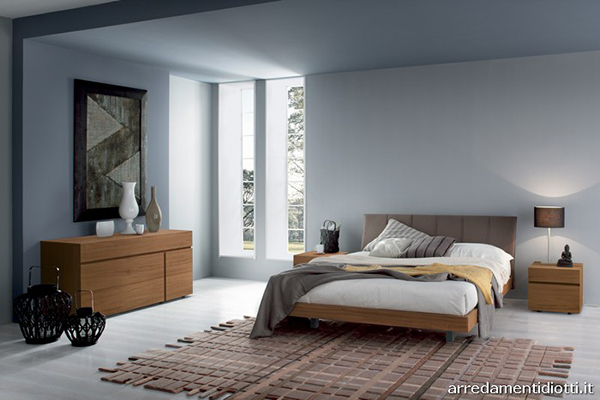 Today, we are going to feature bedroom sets from Arredamenti Diotti A&F. These are comprised of dressers, chests and nightstands, wooden or lacquered. And of course, the bed. 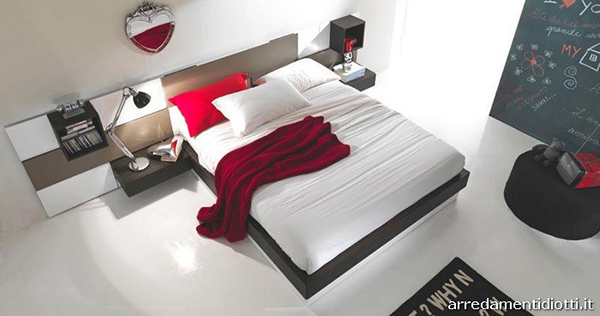 The design of the beds have a sleek contemporary look that will fit in today’s trends of bedroom designs. 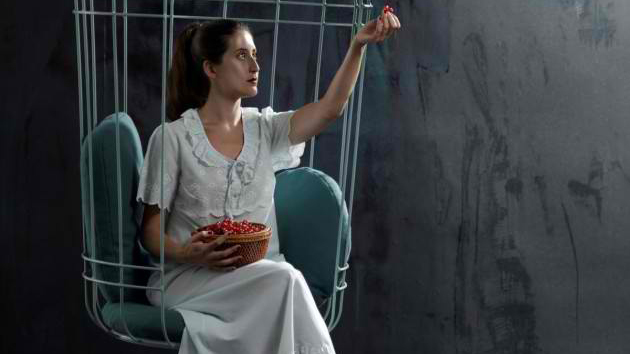 You will know what I mean once you see the images of the bedroom sets below. 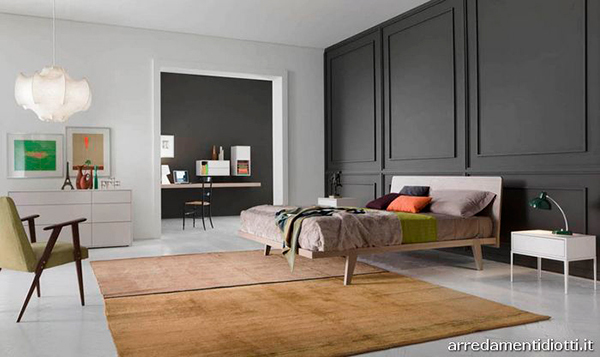 A bedroom with a combination of yellow and gray. 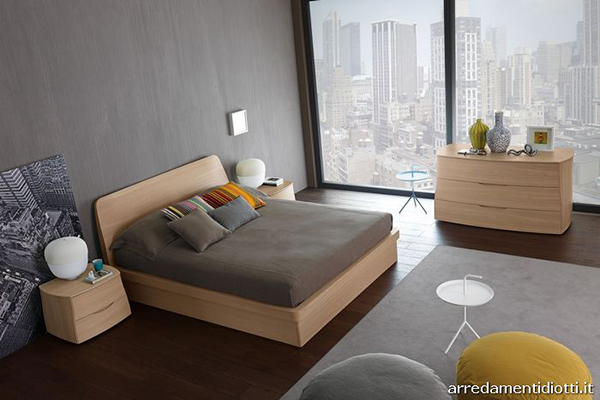 The wooden furniture and the slightly curvy design of the dresser and side table looks charming. 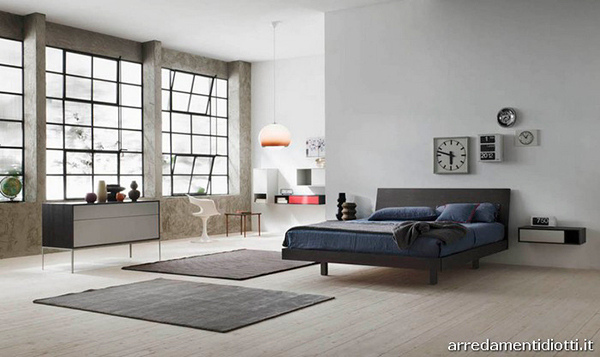 Gray and white bedroom set with a similar design as the previous one. What we love the green center open cubbies of this wall shelving. Of course, adding some items with green accent will do the job too. 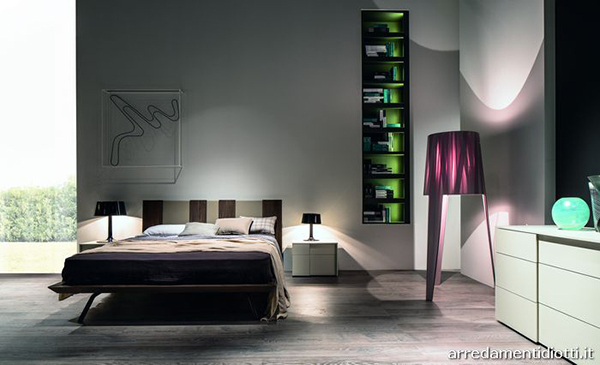 The bed has unique legs that elevate it from the flooring. 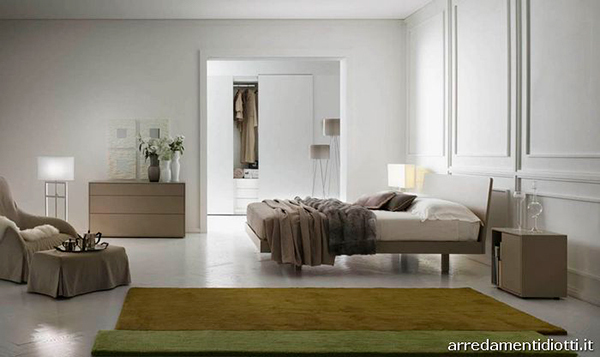 The sleek dresser and side tables have sleek designs that fit the space. A little curved corner for the bed is a good design for this bedroom. A sliding glass door that leads to the outdoor space creates a seamless connection from bedroom to the yard. 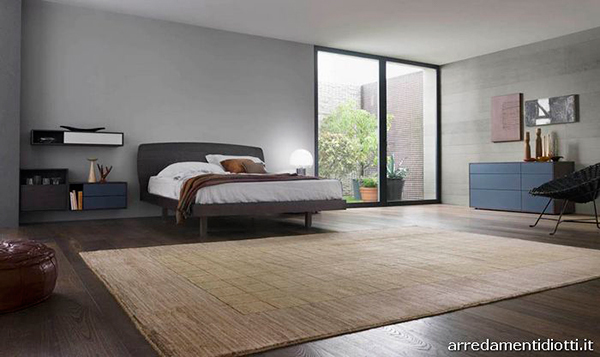 This one has a dark bed with a warm toned blue bed cover that looked nice in a minimalist space. A wooden bed is placed in this bedroom charmed with blue side tables and lounge chairs. For this bedroom, it has an area rug with a beautiful geometric design that matched well with the bedroom set in the area. A upholstered headboard add some chic appeal to the bedroom with unfinished walls. This bed has a wall system that is attached to its headboard. It has a beautiful modern color blocking design. 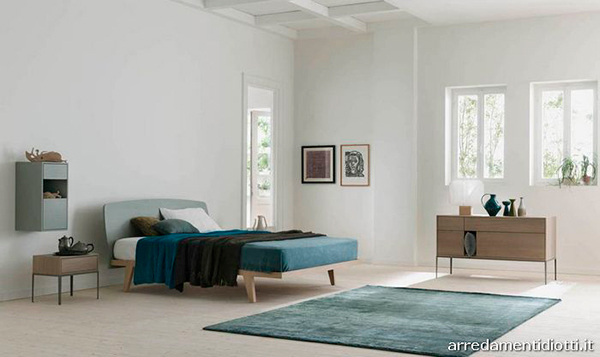 An area rug is here to add some soft touch to the bedroom with a white bed. The bed design connects to a side table. This one looks lovely with a back lighted headboard. The bed has a similar design to the previous one. Looks like this has a Frozen themed space because of the snow inspired colors you can see here. The bedroom is serene and chic with some accents that vary from glass to fabrics. 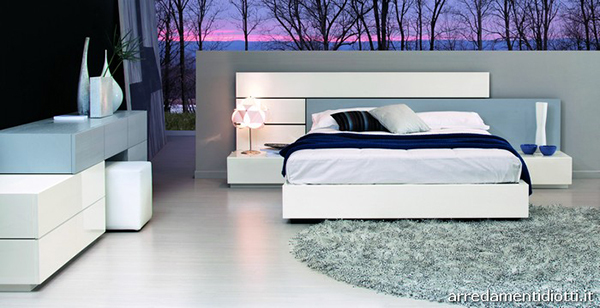 You will feel the beauty of the underwater world with a modern bedroom with these colors. The bed used here has that familiar legs we saw on other bedrooms and what made this look unique is the walling. A wall shelf with green and black paint is beautifully installed here raced with a decorative floor lamp. Arredamenti Diotti A&F is well known for their beautiful designs of furniture not just for the bedroom but for other areas of the house. But what you have seen above are images of that showcase different bedroom sets from said designer. I know that you have picked some designs that suit your design preference. I even think you had a hard time doing that!